Firm President Charles E. Day, CMC, FIMC, specializes in management consulting for technology driven organizations that are ready to push operating efficiency and cost-effectiveness to the limit. But, that never means compromising customer service or quality on Charles Day's watch. In fact... improved customer service is often the very thing which gives his clients a competitive edge. 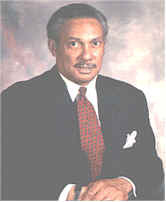 His more narrow specialties include the application and integration of telephone and automated computer system technologies. He has successfully developed strategic and technical plans, as well as managed the implementation, of hundreds of telephone and computer related systems and voice/data network projects. As a chief telecommunication officer for the nation's largest airline, he managed the design and implementation of both national and international projects. Charles is active in numerous professional and technical organizations and holds a B.S. degree in Mathematics and Physics from Savannah State University, and a M.S. in Administration-Computer Science from George Washington University. Developed technical plans and implementation oversight for airlines, cataloguers, publishers and water utility customer services to improve operating efficiencies and customer satisfaction. 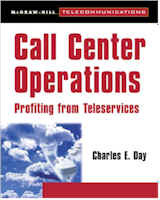 Author of McGraw-Hill book Call Center Operations: Profiting From Teleservices. Q: What is a CMC? Q. What is an FIMC?